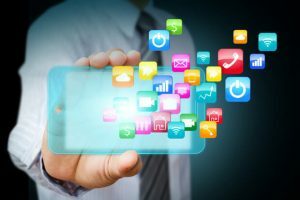 What’s in store for mobile business apps in 2016? I recently came across a Red Hat press release indicating that enterprise investments in mobile apps are paying off and that the overall outlook is positive. That sounds great but what does that mean and what is next? Obviously interested, I tried to decipher the numbers in the press release which, while encouraging, appeared to be using some new kind of math or perhaps were the result of too much editing. 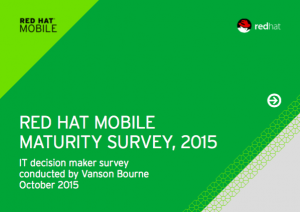 Regardless, the full report, replete with colorful charts, is available here: Red Hat Mobile Maturity Survey, 2015. The survey included 200 IT decision makers from companies of over 2,500 employees. Half of the companies were in the US and the other have from the UK, Germany and France. It’s not surprising that French companies are quickly adopting mobile business apps considering their current keyboard crisis (AZERTY?!). Most companies are at least doing something. Most of them review it regularly. (My guess is that this is similar to telling our dentists that we floss regularly – perhaps a slight exaggeration.). Mobile app investment is on the rise. Mobile apps are not solely IT projects; the Business must be involved. I’m not a Math major, but by my calculations that’s 169%. Regardless, the point here is that Business and IT should probably be working together. Mobile apps are quite literally in the hands of the Business and therefore have a direct and immediate impact on business process. Develop an app in a silo and run the risk of it never being used. 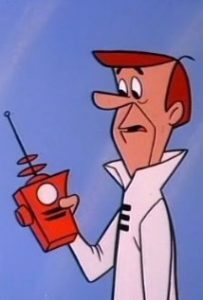 Companies are bringing mobile projects in-house and looking at new technologies. There seems to be a trend toward using internal development resources as opposed to outsourcing app-dev work. This is true of both front-end and back-end development. Respondents also seem to favor lighter-weight technical solutions. IMHO this is likely due to a natural evolution/maturity in mobile app development technologies, combined with an increased workforce familiar with those technologies. In other words, the tech is getting easier, more people are familiar with it and it’s easier to hire them. 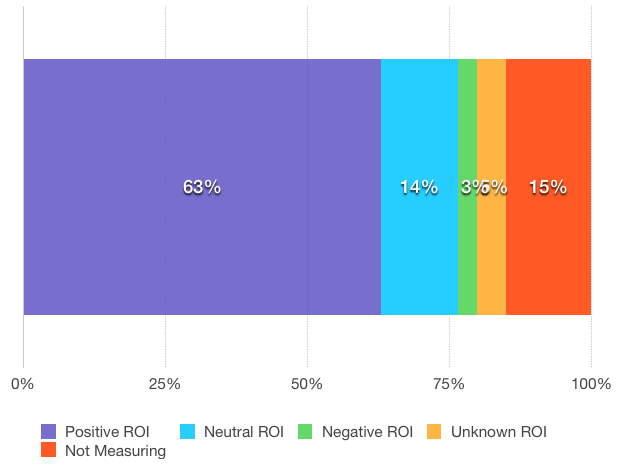 Most companies see a positive ROI. Nothing was said about the implementation times of the projects themselves or the time to reach a positive ROI once the mobile apps were deployed. I’m pretty optimistic so I choose to think that the 16% just need a little more time and the 4% will get it right on the second try. I’m not sure about the 6% that are measuring but didn’t report an ROI. I’m guessing it wasn’t positive. 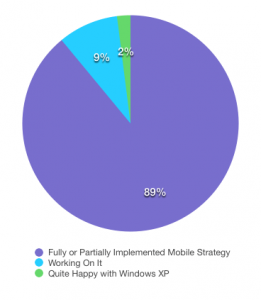 Strangely, the report indicates that IT is responsible for tracking the success of mobile business apps. Not-so-strangely, the report forecasts that responsibility shifting to the Business. It would be great to see Business teams step up to the plate with the business case, the budget and the accountability. 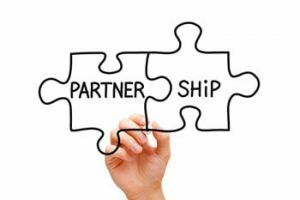 The business knows what it needs to sell more sprockets or cogs; how best to enable a mobile workforce and streamline existing processes. If the Business can do that, then it will be up to IT to get out of the way. At Appivo we’ve been watching these trends materialize for a while now. To take it a step further, we believe that good things happen when we shorten and simplify the development process. Today’s development process involves too many people and technologies, and has too many opportunities for something to go wrong or veer off course. Appivo is transforming application development into application building by enabling anyone who can point-and-click to build their own apps. Our beta is coming soon so sign up now to stay informed. Next: Next post: E-commerce Conference & Appivo!